Cheap clothes giant Matalan asked to pay UN backed scheme £3m donates only £60,000, representing just £50 to each family of a worker killed. 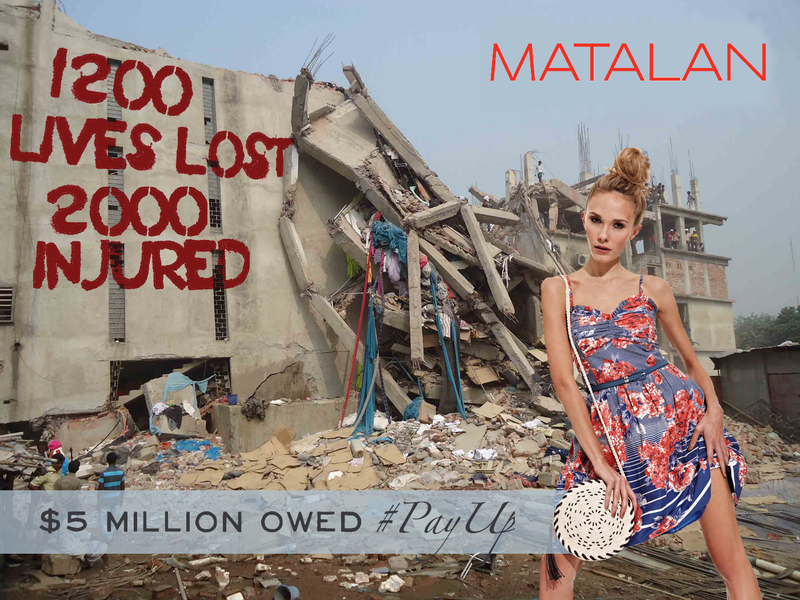 Last week Matalan finally agreed to pay into the Rana Plaza Donors Trust Fund, over six months after it was set up by the International Labour Organisation to fund compensation payments to the dependents of the 1338 workers killed and 2000 workers injured in the disaster. Yesterday it became clear that the Skelmersdale based company, which makes a profit of over £100 million a year, had paid no more than £60,000 to the Fund, just 2% of the £3million demanded by campaigners, and representing a payment of just £50 to each killed worker. Until last week Matalan was the only major British retailer linked to the Rana Plaza factory that had not contributed to the Rana Plaza Donors Trust Fund, despite sustained calls for it to pay up, including a direct request from the UK government. The company relented last Thursday following a major consumer campaign driven by 38 degrees members that saw the company receive over 1000 social media messages per hour and which forced them to temporarily suspend their customer helpline. Protests by 38 degrees members continued over the weekend, calling on Matalan to publicly disclose the amount paid, a demand refused by the company. Yesterday the Rana Plaza Coordination Committee updated the totals received into their Fund, revealing that between the 4th July and 4th August – the period in which the Matalan donation was made – only $128,000 had been received in donations. Campaigners estimate that, with three other donations also declared that month, Matalan’s donation was no more than $100,000 or £60,000. The Fund remains over $2 millon short of reaching the $20 million needed to pay first payments to all claimants. “Matalan has made nothing more than a token contribution to the Fund, in order to deflect what is clearly a widespread concern amongst its consumers, while at the same time trying hide the fact that their payment was derisory. 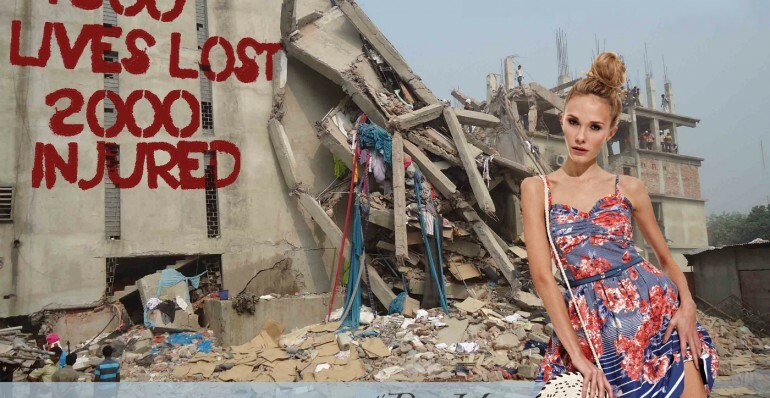 However, the public uproar last week made clear that the UK public remains deeply concerned about Rana Plaza and that the victims and the survivors’ families receive the fair compensation they deserve”, says Sam Maher of Labour Behind the Label. Labour Behind the Label joined forces with online campaigners 38 degrees to launch last week’s consumer campaign in an effort to ensure that the first round payments for the claims processed since April can be fulfilled. The money is expected to be transferred to claimants in early August but less than half of the total $40 million USD needed has been secured. “Now that the amount paid has become clear, we can all see what value Matalan puts on the lives of those garment workers employed to make its clothes. This payment is an insult to those families that lost everything when that building came down and we would urge them to make further payments immediately”, says Sam Maher. Company contributions to the Rana Plaza Donors Trust Fund have been calculated by campaigners according to the brands ability to pay, the size of their relationship with Bangladesh and their relationship with Rana Plaza. Matalan makes an annual profit of around £100m and its founder and owner, John Hargreaves, has a personal fortune of over £1 billion. On this basis Matalan was asked to contribute $5 million (£3 million). Primark is the largest contributer to the Fund so far, donating $8 million USD.